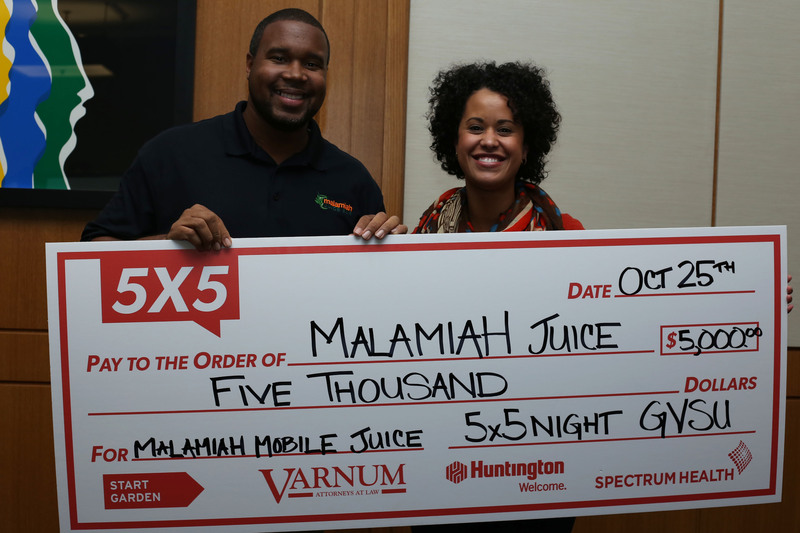 Jermale Eddie of Malamiah Juice Bar took home the $5,000 cash prize along with $5,000 in legal services from Varnum Law at this month’s 5×5 Night, held on Tuesday in the Loosemore Forum at the Siedman College of Business at GVSU. Malamiah Juice Bar is located in the Downtown Market, and the $5,000 will go towards purchasing a truck to add a mobile competent to their business. Neu will be following up with Eddie next month to check on the impact of the $5,000. Among those pitching were Jordan Vanderham, an engineering student and founder of Orindi Ventures; members of the Michigan Literacy Project from the College of Education; Carolyn Scharf of the Kirkhof College of Nursing for a program that provides curated i-pods for dementia patients; and Filiciano Paredes for Campesino SOS, an app that connects migrant farm workers and farmers. Congratulations to Jermale Eddie and all of the presenters! Voting is now open for next month’s 5×5 Night, which will take place in Grand Rapids at The ROC at Rockford Construction. The event will be held entirely in Spanish. 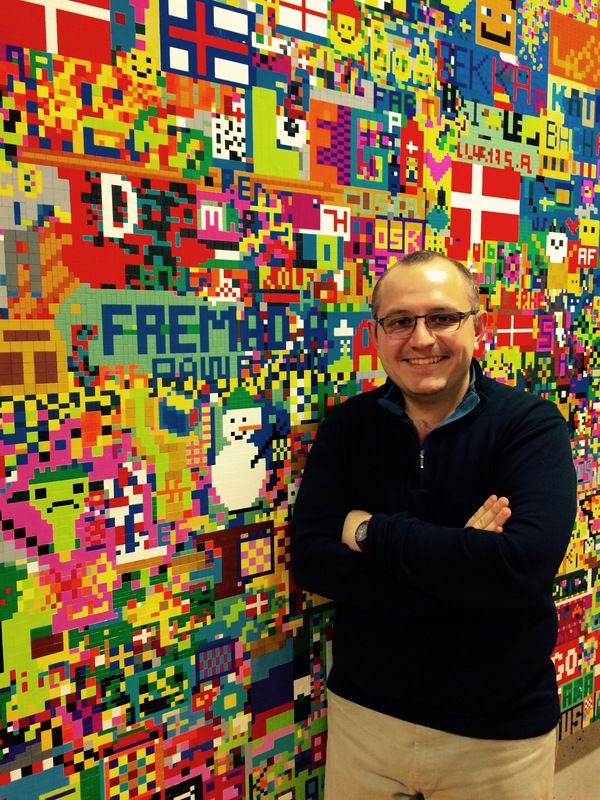 Headsets will be available to translate for English speakers.